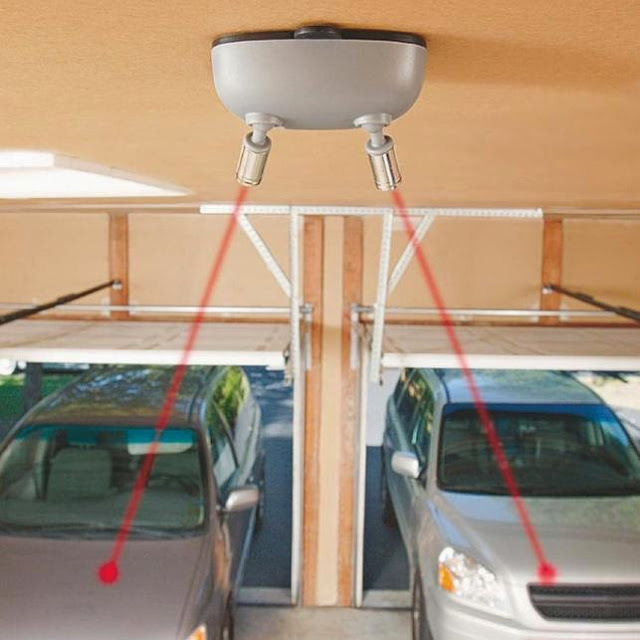 Collection of 'Best and Useful Garage Gadgets' from all over the world to secure and protect your cars and garage. 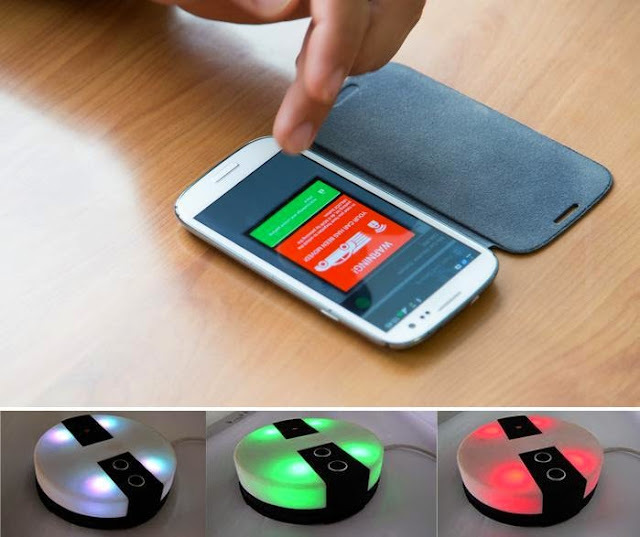 MyLifter: Its a smart motorized lifting device that you control with your iOS or Android 4.3 smart phone. Each unit is 3 x 4.5 x 4.5 inches and weighs 2 lbs, comes with 25 feet of stainless steel cable, can lift up to 100 lbs. 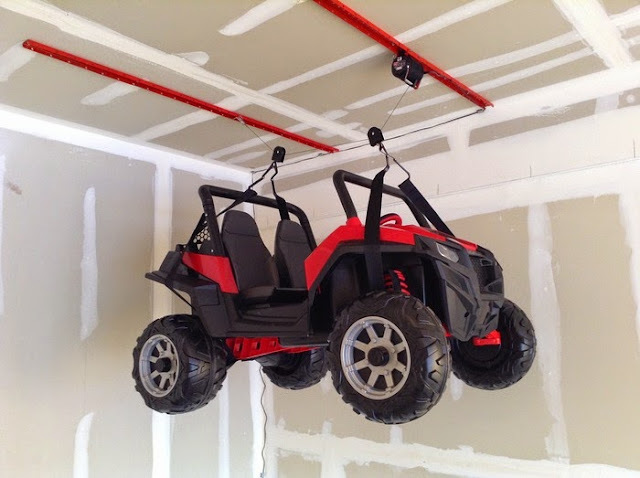 This makes it perfect for lifting and storing objects like bicycles, kayaks, and cargo boxes. Or you can combine multiple units to lift heavier objects. It has a built in safety feature that will stop it from lifting if you exceed the 100-lbs weight limit. 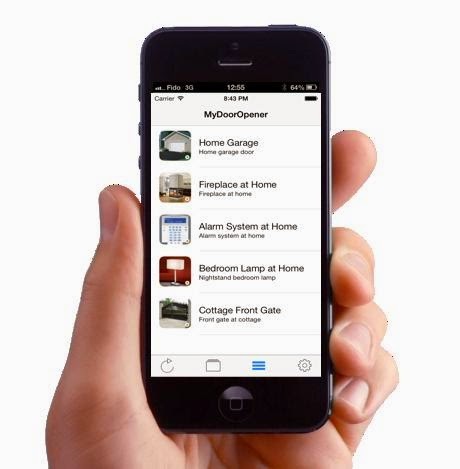 MyQ Garage: MyQ-Garage allows you to monitor, open and close your garage door from anywhere with your smartphone. 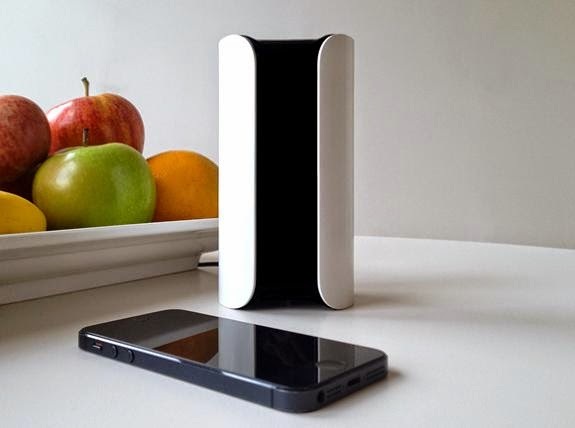 It works with your home's Wi-Fi and sends you alerts when the garage door opens or closes. Wibou Car Security System: Wibou requires no installation inside your car; you need to fix it in garage and if there is an unauthorized moving of your car it sends an alert to your smartphone. 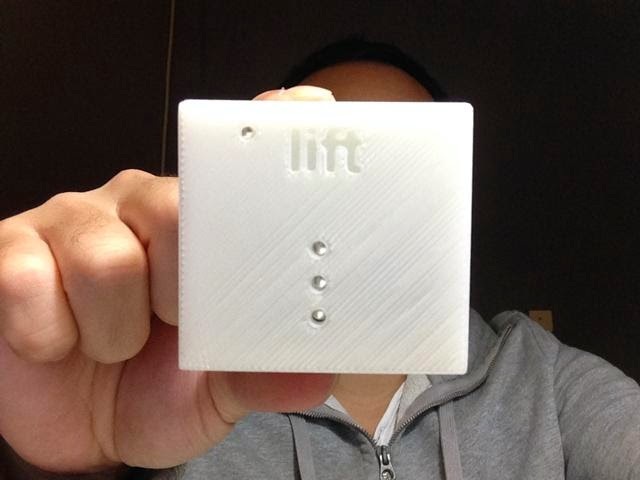 Lift: Lift is Bluetooth 4 powered garage door controller that allows you to open your garage door with your iPhone. 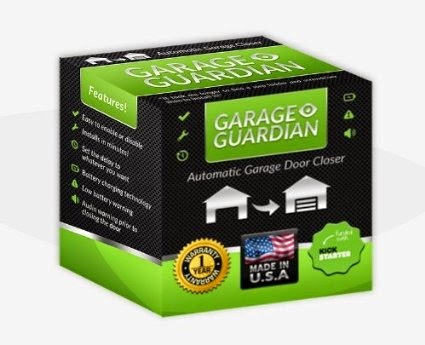 Garageguardian: If you forget to close the garage door, after the programmed time, the Garageguardian will close it. It gives audible beeps prior to the door closing for safety. 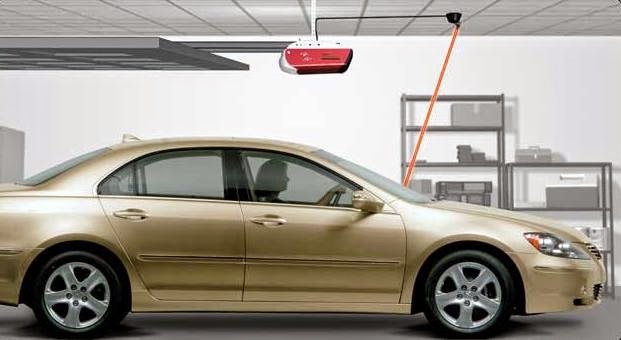 Garage Parking Assist: The Chamberlain CLULP1 Universal Garage Parking Assist makes your parking safe every time. 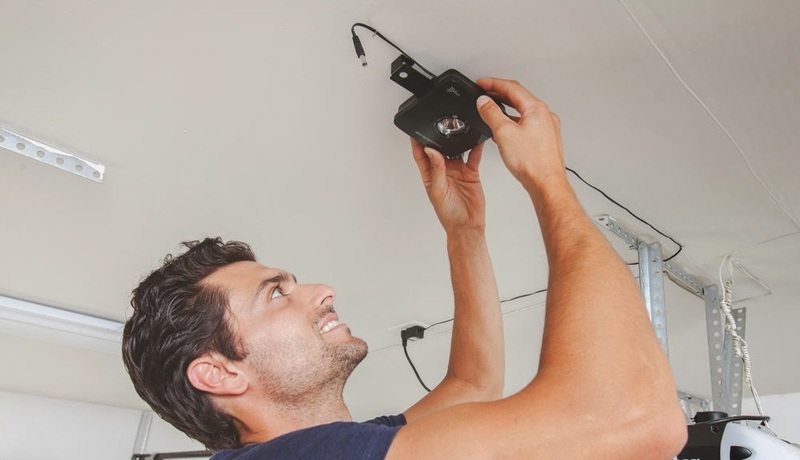 It works with any garage door opener system, works automatically, and the lights turns red when it detects you are in the right spot for parking. Park Right Dual Garage Parking System: It activates automatically when your car enters the garage and guides you to park your car in the right spot. 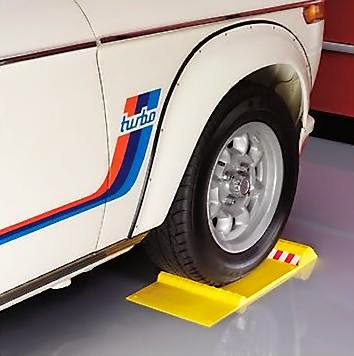 Parking Mat: Just stick it to the garage floor on pre-selected spot in your garage and it lets you know you've perfect spot for parking. 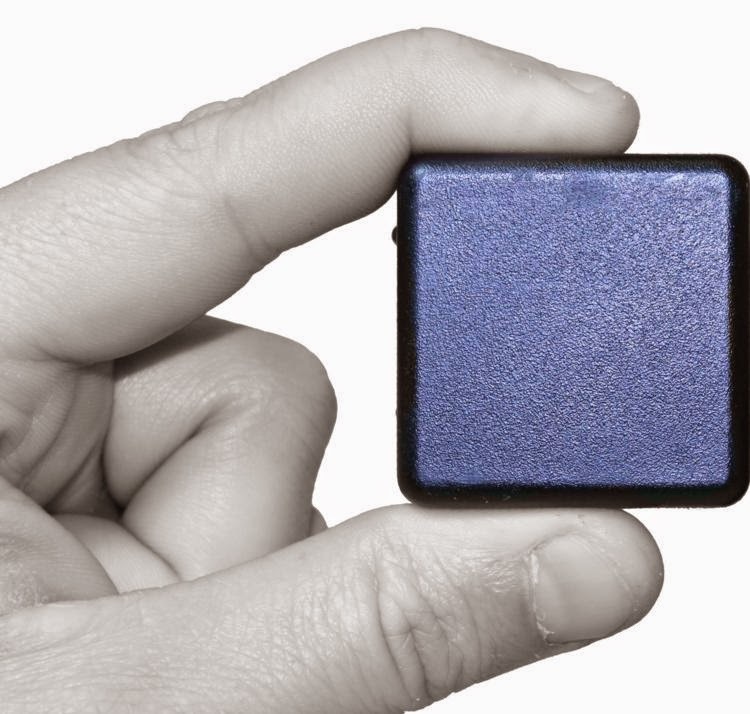 It features two projections, the first small, 1" tall projection lets you that you are at the right spot and the second 2" tall projection lets you know to stop. 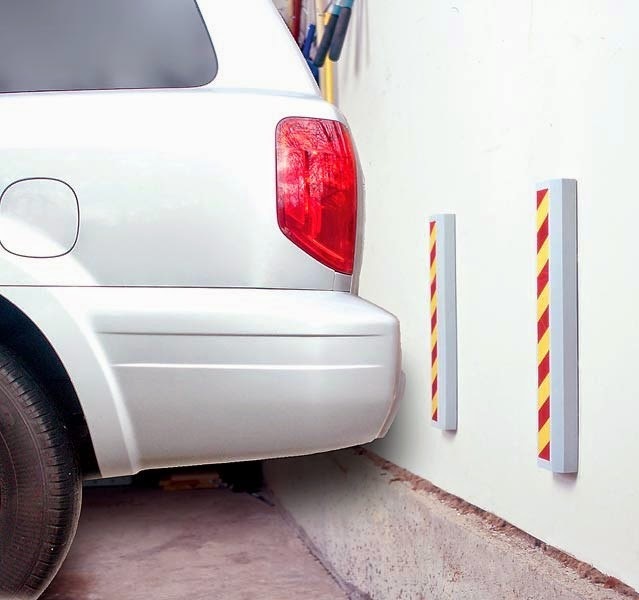 Bumper Guards: Attach these to your garage wall to protect your car and your garage during parking. 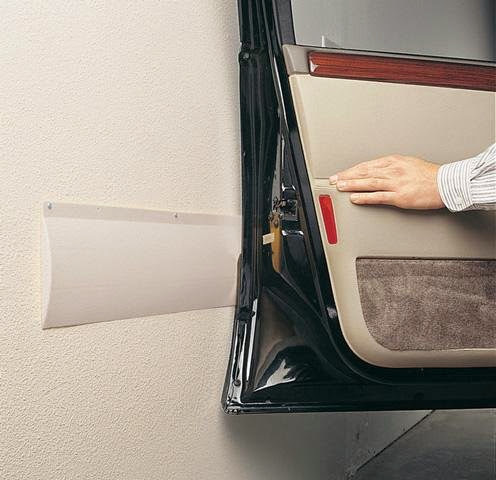 Garage Wall Guard: Just stick these to your garage wall to protect chipping and denting of your car's doors. 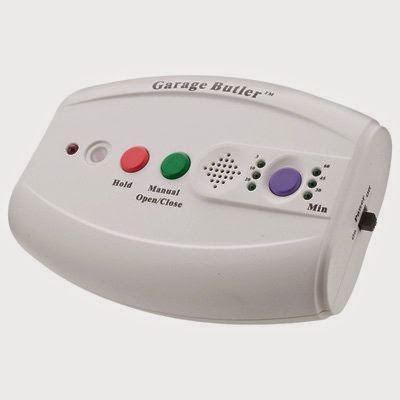 Garage Butler: Garage Butler is an automatic garage door closer that closes your garage in the event it is left open. It can be set to a timer with 6 options to automatically close your garage. The device sounds an alert for 30 seconds prior to the door closing for safety. And it automatically closes the garage door when it becomes dark outside.